Trail riding can be a great experience for the rider. There is often less pressure on a trail than in a competition setting, and riders are able to enjoy themselves and their horse without the stress to perform. Trails provide the ability to ride with other horse enthusiasts, creating a unique social environment for friends to spend time with one another. Families have the ability to ride together, as trail riding can be a fun experience for all ages. 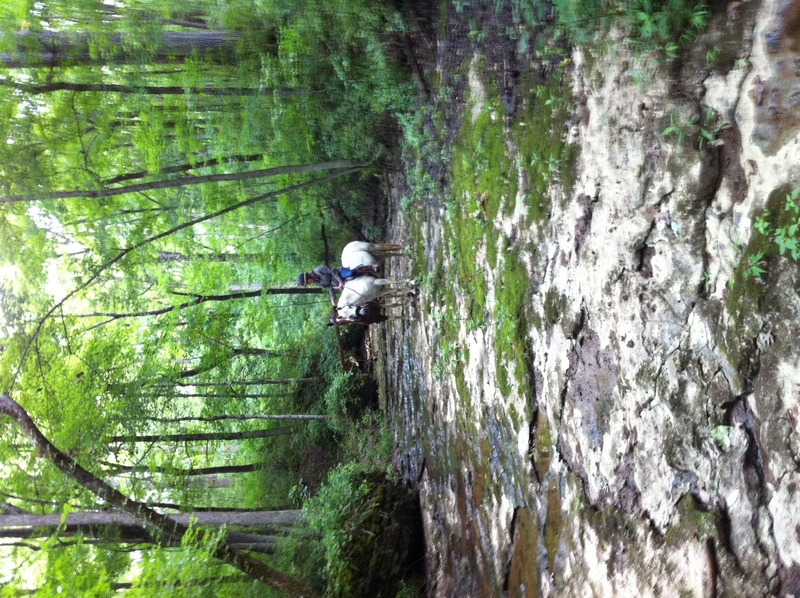 And of course you can enjoy your horse as you explore nature together! The Brownsboro Alliance trail system will benefit horses as well. Generally, trail riding helps horses recover quicker from distractions, better negotiate obstacles, and improve their conditioning. Horses suffering from boredom in the ring can have a fun experience in a new environment. Horse and rider can become closer, as their bond increases and trust between the two grows. Riders have seen improvements in their horses’ willingness, as well as improved balance, strength, and stamina. One facility in Brownsboro is particularly excited about the trail system for their boarders and owners. Look for a special feature on Aspiring Heights Equestrian coming next week!